The kitchen is a room in the house that we spend a lot of time in. It also needs to be a multi-functional area, used for cooking, entertaining, family time and sometimes even eating or drinking too! This is why it's so important the space is carefully and strategically designed. Even the smallest of kitchens need to be practically organised. Because kitchens often house electrical devices, it's also important that they are distributed in a way that makes for a very comfortable and functional room. One great tip is to create a movement triangle between the fridge, stove and sink. This will keep the flow of your kitchen strong, while ensuring that appliances and accessories are easily accessible. 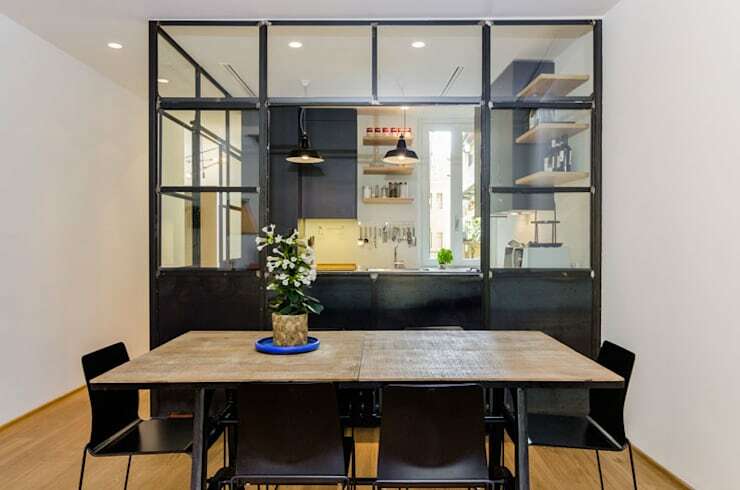 There are also a few other tips and tricks that you can employ when it comes to creating a comfortable kitchen, which is why today at homify, we've put a few together for you. The below six ideas will help you to create a very stylish, functional and practical kitchen space. In the kitchen, it's important to pay attention to the lighting as it can change the whole look and feel of the space. Lighting, both natural and artificial, must be distributed in a way that makes cooking, cleaning and even entertaining an easy task. 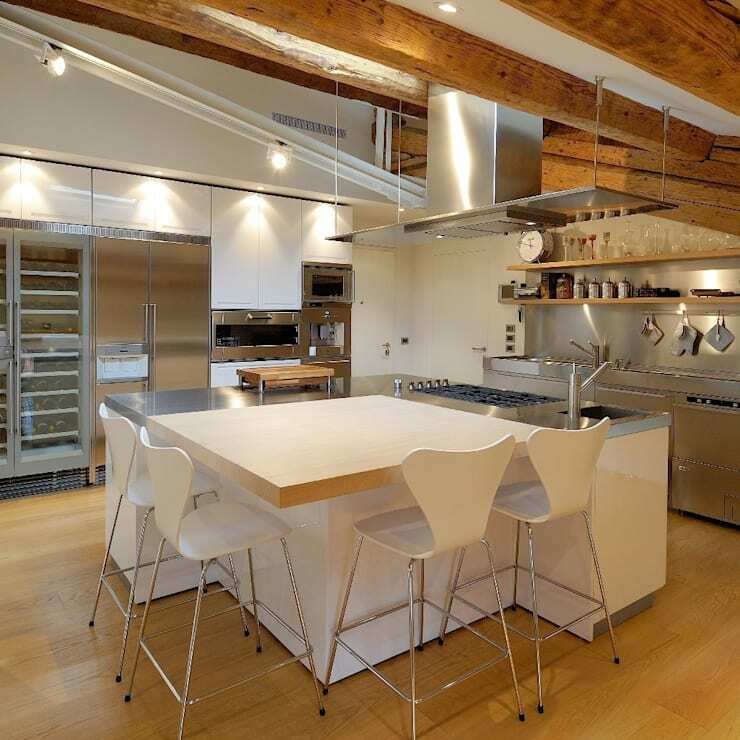 Direct lighting is needed for the cooking area as well as the food preparation area. Some lamps or spot lights can assist with this. The dining space should be slightly less bright as you want to create ambiance and mood when people are enjoying their meal. Natural light also plays a big role. Allow sunshine to flow in through the windows and doors. Dark colours can create a very gloomy atmosphere in the kitchen. 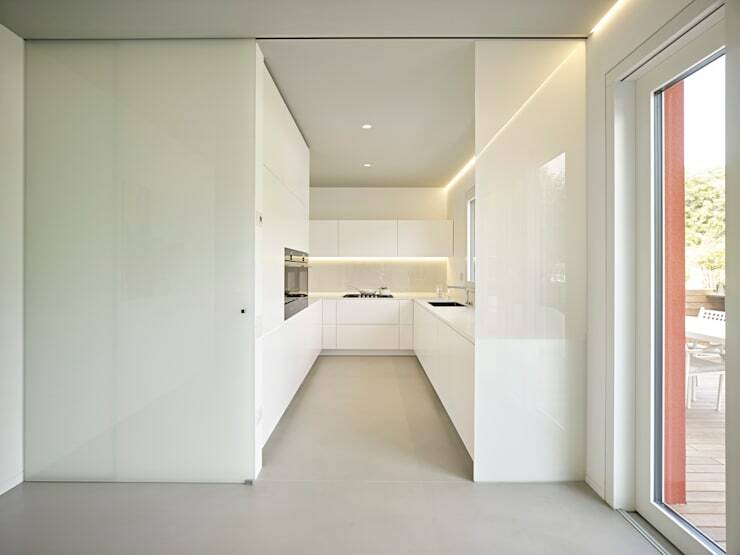 In this example, we can see how the design professionals have gone for a minimalist look and feel with white tones, which create a very comfortable and attractive environment. It also ensures that the kitchen isn't congested. White tones particularly make for a very clean and stylish kitchen. 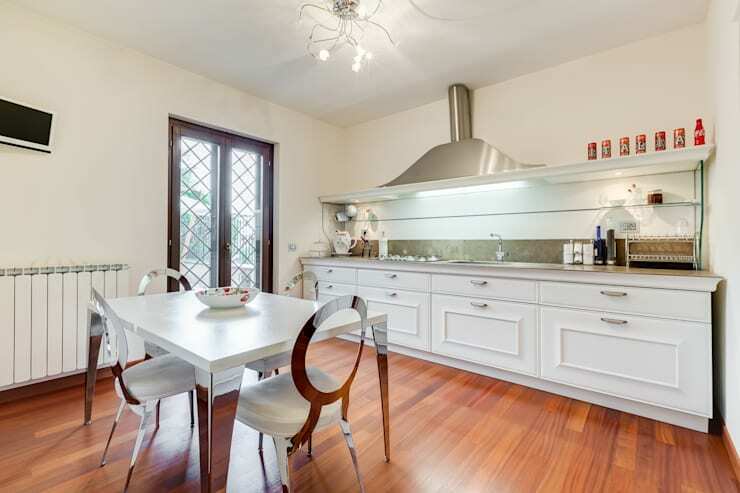 You'd be very tempted to cook up a storm in this calm and comfortable environment. The kitchen should be linked in some way to the dining room, creating a far more interactive and social space. This also makes for a more flexible living space that seems bigger too! It's also far more practical as you can move plates, dishes and glasses between the dining room table and the kitchen easily. You can also have a subtle division between the two, like this one, while still allowing a seamless connection between the two. No matter how small the kitchen is, it should feature adequate storage space so that you don't end up with an accumulation of equipment and utensils. By providing this space with adequate storage, you'll also have a much more organised space. An organised kitchen makes for a very practical and gorgeous cooking area! While the kitchen should always be cleaned and well-organised, you must also invest in easy-to-clean materials. 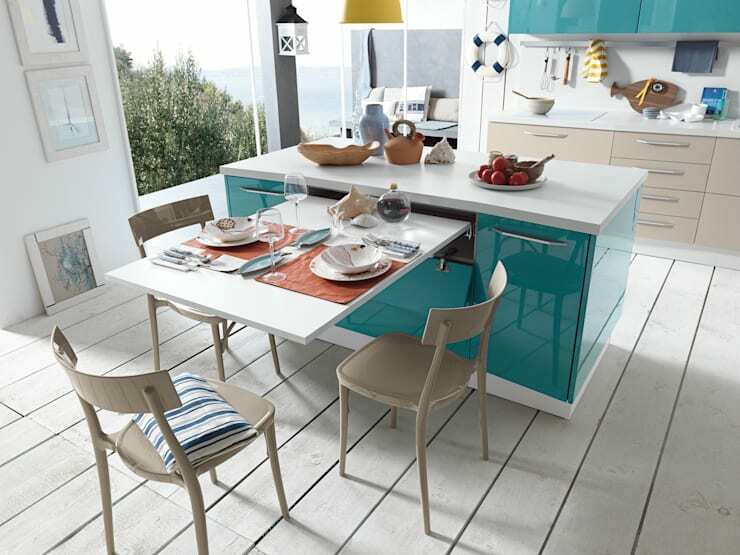 Choose colours and textures that create a peaceful and beautiful kitchen, but are also very easy to wipe down. Remember that this space often experiences spills and splashes! You want to be able to wipe it down quickly and easily, especially if you have kids. One way to really make the most of space is to invest in multi-use furniture that is practical and stylish all at the same time! As we can see in this image, the space has been completely exploited. 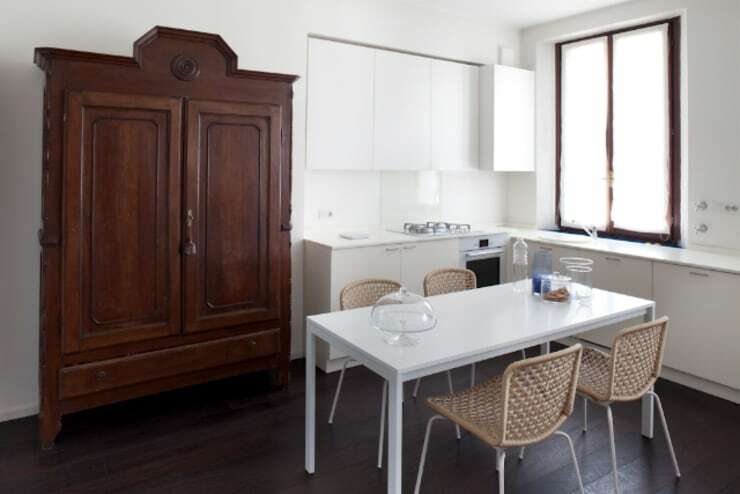 A table slides out of the kitchen island, which can be used for dining. When it isn't needed, it simply slides back in, allowing for more floor space. Have you ever seen something so savvy? Also have a look at these kitchen islands to treasure, to see how you can enhance your kitchen with these beautiful features. Are you ready to make your kitchen that much more savvy?